Sky Media acquires Diagonal View and Rusell Brand returns to radio. Sky Media is moving into social content creation with the acquisition of Diagonal View, a London-based producer of online entertainment ranging from sport to history. Its channels, which include Alltime10s and the Football Daily, have 15 million users and claim one billion views in the past year. Sky Sports hopes Diagonal View will boost its appeal with a younger, social audience, while Sky Media believes it will "offer greater brand-safe digital opportunities to advertisers" to create and distribute content socially. A pointed statement given YouTube’s recent woes. Radio X is betting on big-name presenters. 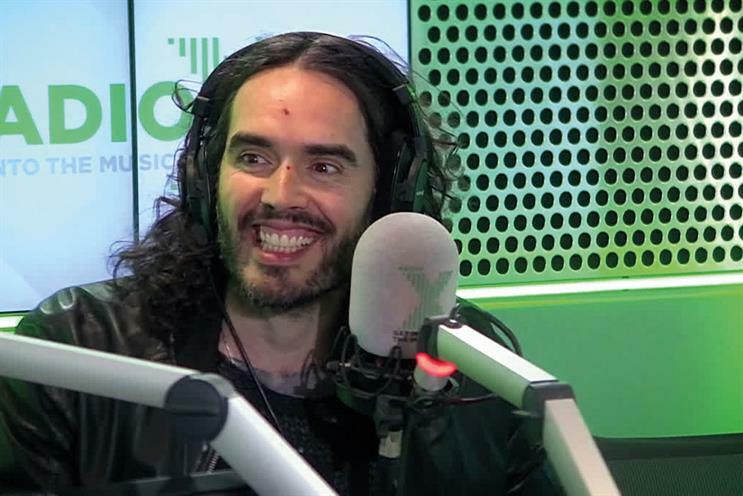 After hiring Chris Moyles and Johnny Vaughan, Global Radio’s alternative-music station, formerly known as XFM, has taken the potentially courageous step of hiring Russell Brand. The shaggy-haired comic enraged Middle England when he made offensive comments on Jonathan Ross’ BBC Radio 2 show nearly a decade ago. So inviting Brand to host a Sunday-morning show – his return to live, radio broadcasting after eight years – should be worth a listen. "Sorry for any offence in advance," Brand says. That’s the way to bring in advertisers. BBC Radio 4’s Today programme is in bad odour after presenter Garry Richardson ended an interview with cricketer Jimmy Anderson by telling listeners that the conversation had "been in conjunction with Brut aftershave, who he is an ambassador for". Commercial plugs are forbidden on the BBC’s airwaves, so the Today team got told off. "This was a mistake. It should not have happened," a BBC spokesman said. While this was a temporary lapse by the Beeb, we are more worried about how editorial access to sports personalities and clubs is increasingly controlled by brands and sponsors. There is always a quid pro quo in sports marketing – but it shouldn’t be at the expense of independent journalism or the fans who want to cut through PR spin.